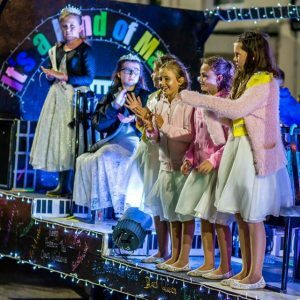 Vote for Ryde Carnival to be the UK’s Most Popular Carnival for 2018. Ryde Carnival has been chosen by the UK’s rental giants HolidayLettings.co.uk (owned byTripAdvisor) as one of the final 11 competitors in the running to be named the UK’s Most Popular Carnival for 2018. To win this award, the carnival will need to receive the most votes on the Holiday Letting’s website. Voting ends on 21st August (mid-night), with the event receiving the most votes crowned “The UK’s Most Popular Carnival 2018” on 22nd August just in time for the start of Ryde’s three Carnival processions that take place on 29th & 30th August with the Illuminated on 1st September.